This book is an incredible read. For a few years now I have had a burden to be praying for priests I known and seminarians. This book is taking that to a whole new level. 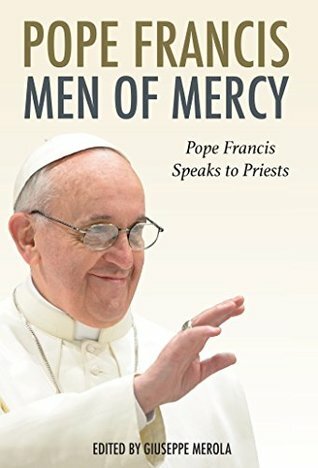 It is a collection of 49 talks, messages, homilies and lectures given by Pope Francis given between March 2013 and March of 2016. The messages are broken into six groups, but are by no way in chronological order. Some are formal talks prepared and presented and some, Pope Francis deviates from his planned talk, and speaks off the cuff and we have a transcript of those adhoc presentations. Some of the messages are complete talks; some are excerpts as short as single impactful paragraph. The shortest piece is an excerpt from an address to Austrian Bishops from January 30, 2014. The only piece of the talk shared with us is: "… Priests, parish priests, should always be aware that their duty to govern is a profoundly spiritual service. It is always the parish priest who guides the parish community, relying at the same time on the assistance and valid contribution of various co-workers and of all the faithful. However, we must not run the risk of blurring the sacramental ministry of the priest: In our cities and villages there are some courageous people and some timid ones; there are Christian missionaries and others who are asleep. And then there are many who are searching, even if they do not admit it. Everyone is called; everyone one is sent. However, the place where a person receives that call is not just the parish center, and the occasion is not necessarily a nice parish event. God's call can reach people on the assembly line and in the office, in the supermarket and on a stairway, i.e., in the places of everyday life. …"
The book ends with his address in Philadelphia to the victims of sexual abuse. The final words are: "When the disciples who walked with Jesus on the road to Emmaus recognized that He was the Risen Lord, they asked Jesus to stay with them. Like those disciples, I humbly beg you and all survivors of abuse to stay with us, to stay with the Church, and that together, as pilgrims on the journey of faith, we might find our way to the Father." And those words echo to all of us in the church and those who have wandered away, may be with Francis as the head of our church pilgrimage together on this path of faith to the father. These messages were given to Priests to offer wisdom, and encouragement and some direction. But they also speak to priests about mercy, the mercy they receive, the mercy they need and they mercy they dispense. They are messages of joy, and of hope and are given from the heart, which is what we have come to expect from the man who lives joy and mercy. This was an incredibly powerful book. To see Pope Francis's love and concern for his fellow clergy, and through them the entrusted ministry to the whole church. I was moved to tears a few times while reading the book. And I was moved to pray on numerous occasions. A wonderful read and will bring encouragement to even the hardest heart. Thank you.